JAKARTA, Indonesia – Nearly every day, 17-year old Galang shares provocative content and hate speech on his Facebook account. A recent post included two photos with a caption about a prisoner riot that occurred at a police command headquarters in Indonesia’s capital city of Jakarta. The caption mentioned that the police officers threw and trampled the Quran, Islam’s holy book, arousing the anger or prisoners. Police have denied the allegation. Galang shared the uploads on a Facebook group for Indonesian Muslims with over 130,000 members on November 10, and the post went viral. Galang believes all the information he shares is true because it comes from a “trusted source,” who he declined to name. Almost all of the posts are about his hatred of the Indonesian security forces, his defense of jihadists, or the suffering of Muslims in the Middle East and Rohingyas in Myanmar because of the oppression of the “infidels” – the way he refers to non-Muslims. On September 1, for example, Galang shared a photo of a man beating a monk. He commented that he respected the man and accused the monk of being a “real terrorist.” He said his views are influenced by the prolonged conflict in Myanmar’s Rakhine state, where security forces are accused of human rights abuses against Rohingya Muslims. He accused the West, Israel and other religions for the suffering and killing of Muslims around the world. Galang said he follows lectures from several preachers, who did not want him to mention their names. Not long after speaking with The Globe Post, Galang changed the name on his Facebook account. Another man, Zulfikar (not his real name) had attended lectures held by radical groups on his university beginning in 2006. Now he claims to have left behind those activities. “At the beginning of college, suddenly there was someone who asked me to meet and it turned out he is one member of a radical group,” Zulfikar told The Globe Post. “Their approach is very subtle and kinship, so it touched me,” he added. 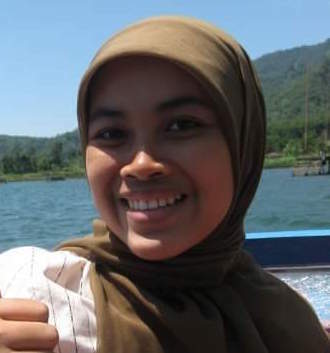 Zulfikar, who had attended one of the best universities in Yogyakarta City, followed various religious activities on and outside of campus, organized by several radical organizations, such as Hizbut Tahrir Indonesia and groups with a salafi tradition. The Islamic religious organization on campus – known as Rohis, he said, was itself not too radical but became a means of recruitment for the Islamic Prosperous Justice Party (PKS). He said he was also been involved in HTI, which propagates the establishment of an Islamic state in Indonesia, the world’s most populous Muslim nation. Zulfikar said he had also attended group lectures advocating ideological salafism, which often described by the United States as a fundamental understanding of Islam that justifies terrorism. “They openly told us that the lecture (in university) was forbidden because we learn science (from the West). They also claim that no one will go to heaven except the salafi,” he said. “Over time, I feel no longer match the concepts they teach because it is very narrow (understanding),” he said. A recent survey by the Jakarta-based organization Alvara Research Center and Mata Air Foundation found that nearly 20 percent of high school and university students in Indonesia support the establishment of a caliphate in the country. The survey was conducted between September 1 and October 5, polling about 4,200 Muslim students, mostly in top schools and universities on Java island. At least 25 percent of the respondents said they were ready to fight for their religious beliefs to achieve a caliphate. “This indicates that intolerant teachings have already entered top universities and high schools,” Alvara’s CEO Hasanuddin Ali said in the report. The findings were described as alarming by the Indonesian government and Islamic organizations such as Nahdlatul Ulama and Muhammadiyah. The vast majority of Indonesia’s 207 million Muslims are not radical, but the country’s reputation for religious tolerance has recently come under threat by hardline Islamic groups. Responding the massive spread of radicalism in the country, President Joko Widodo in July signed a decree that empowered the government to dissolve any organization that acts against Indonesia’s ideology and constitution. A week after the regulation was issued, the government officially dissolved HTI on the grounds of threatening national unity and the state ideology, the Pancasila. 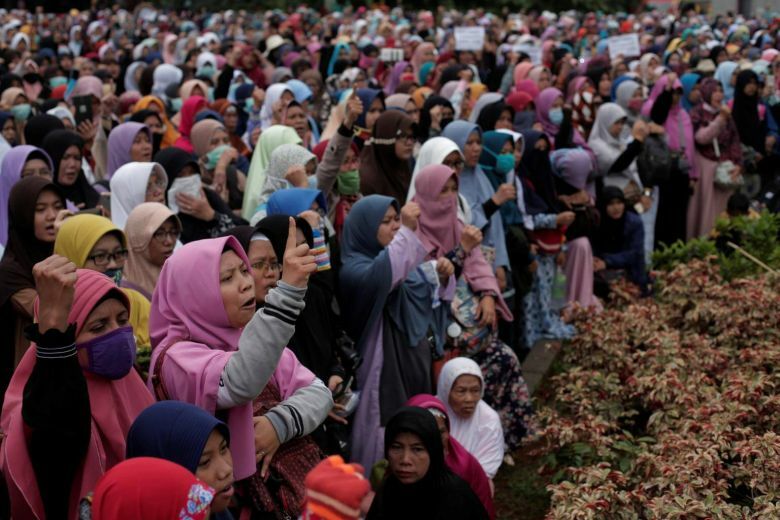 Anas Saidi, a researcher for the government-run Indonesian Institute of Sciences (LIPI) told The Globe Post that radicalism is easily spread among young people because the process of takes place in private, and tends not to be open to various Islamic views. He said people who are already radicalized will think all of their actions are right those who oppose them or act differently are wrong. They also tend to suppress minority groups. “They can easily label people who are different from them as kafir (infidel),” Mr. Saidi said. He said radicalism began to spread among students in Indonesia since 1998 through HTI and Jemaah Tarbiyah, which support the establishment of a pan-islamic caliphate, and Jemaah Al-Ikhwan Al-Muslimin Indonesia, the Indonesian Muslim Brotherhood. Mr. Saidi fears extremism will cause the disintegration of the nation in the next two or three decades if there is no solution and action from the government or moderate Muslims. He said one of the most important steps to counter radicalism is to promote the country’s secular ideology, which emphasizes the spirit of tolerance, justice and peace. Suhardi Alius, head of the National Agency for Combating Terrorism (BNPT), said young people are more easily affected by radicalism and terrorism, partly because of the easy access to information on the internet and social media that is not accompanied by critical thinking. Terrorist groups have made the internet the primary means of spreading propaganda. “High intensity (on the internet) and weak literacy in young people makes them easily provoked by various issues, including hoaxes and hate speech,” he said in a speech earlier this month. Mr. Alius said his agency has been aware of the threat of radicalism and is making efforts to suppress it by working with various stakeholders – such as universities and schools, bloggers, and other government ministries. The agency recruited hundreds of young people, mostly bloggers with hundreds of followers, from various cities across the country to become “peaceful ambassadors” by spreading messages online that counter radical thinking. In September, the anti-radicalism declaration echoed by 3,000 rectors from all over Indonesia at a seminar in Bali, and a similar action was followed by thousands of students in various areas of the country. The communications and informations ministry has also sought to stem the spread of radical content by blocking hate speech websites. According to ministry data, at least 773,000 sites that include radical content were blocked last year.